LightSheer® is a gentle, non-invasive, long- lasting solution for unwanted hair. For optimal results, your treatments should be a combined effort between you and our staff. For six weeks immediately prior to your laser hair treatments, please do not wax, tweeze, use depilatories, undergo electrolysis or bleach the hair you are seeking to remove. We do ask that you shave that hair 3-4 days prior to treatment. If a skin lightening agent has been recommended for your use, please apply it to the area to be treated as instructed. Normally, we ask that you apply it 1-2 times/day for 4-6 weeks prior to treatment, depending on your skin type and color. We may also ask that you resume this regime following the laser treatment. Completely refrain from sunbathing or tanning in a tanning bed for 8 weeks prior to and during the duration of your treatments. 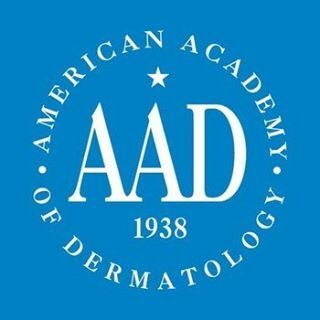 Darkly pigmented skin may absorb a portion of the energy that should be striking the hair follicle and will reduce the effectiveness of the treatments. Additionally, tanning in the post-treatment period is associated with an increased risk of pigmentation problems. If you find you will be exposed to strong sunlight for any length of time during your treatment schedule, use an SPF 30 sunscreen. If you have a history of herpes in the area being treated, you will need to take a prescription antiviral medication to prevent an outbreak after laser treatment. This medication should be started the day before the procedure and continued for 5 days. Please notify our office if you develop any outbreak or rash of any kind during treatment, as treatment may need to be postponed until this clears. You may notice redness after treatment and experience a slight sunburned feeling in the treated area for a couple of hours. Apply cool compresses to the area for 10-15 minutes each hour for 4-5 hours after treatment. You may take Tylenol or Ibuprofen as needed on the day of treatment. For the next 2-5 days, you may develop a fine crust over the treated area. Keep the area clean by washing twice a day with a mild soap followed by a small application of Polysporin or Bactroban ointment. Continue this process until the crusting disappears. If crusting does occur, do not use glycolic or Retin-A products on the treated area for 1 week after treatment. If make-up is used, apply a thin coat of antibiotic ointment before make-up is applied. If you are treating the underarm area, do not use deodorant until the area is healed. You will notice that the hair will be singed in the treated area. This treated hair will continue to grow until the follicle has grown and fallen out. This “shedding” process may take up to 2 weeks or longer after treatment. You may not tweeze or wax between treatments. You may, however, shave the area. Only actively growing hair responds to laser therapy. For optimal results, it is imperative that you keep your scheduled appointments. Our treatment protocol is customized to your individual condition and your treatment schedule has a direct effect on your final results.